Get a workout indoors! This indoor playground is compatible with standard doorway frames. The core unit support bar attaches to your door frame, and it’s easy to swap out attachments. No holes, hammering or drilling required. Entire system is lightweight, portable and easy to store. Supports 300 lbs. 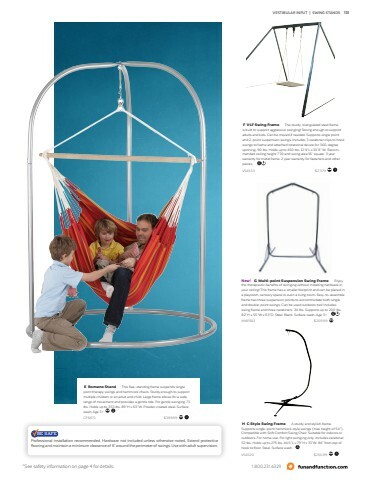 4-piece set includes core unit, indoor swing, rings and ladder. Deluxe 6-piece set includes core unit, indoor swing, rings, rope, ladder and trapeze. Age 10+ for core unit. Age 3+ for attachments.